“We are delighted with these new record sales figures, which mean the BMW Group, with its three premium automotive brands BMW, MINI and Rolls-Royce, remains the world’s leading premium automotive company,” commented Ian Robertson, until 31 December 2017 BMW AG board member responsible for Sales and Brand BMW. “We have continued to increase sales despite headwinds in some major markets and model-changeovers of several of our most significant vehicles. This demonstrates the high desirability of our brands and products, ranging from the i3 to the M5 and from the BMW 1 Series to the BMW 7 Series. We clearly achieved our target of selling over 100,000 electrified vehicles in a single calendar year and are delighted that, following its model changeover, the BMW 5 Series returned to its position as segment leader in the final months of 2017,” Robertson continued. In December, the BMW Group celebrated delivery of the 100,000th electrified vehicle sold in 2017. In total, 103,080 electrified vehicles were delivered to customers during the year; this increase of 65.6% underscores the company’s leading position in electro-mobility. The BMW Group sold more electrified vehicles in Europe than any other premium manufacturer in 2017 and the company’s position on the world market is also extremely strong. Four years after its launch, sales of the BMW i3 grew in 2017 by 23.3% to total 31,482 worldwide. The plug-in hybrid BMW iPerformance vehicles also continue to grow in popularity, with sales almost doubling to total 63,605. Launched in June 2017, the MINI Countryman plug-in hybrid also made a significant contribution to boosting the BMW Group’s electrified sales, with a total of 5,799 delivered to customers around the world. 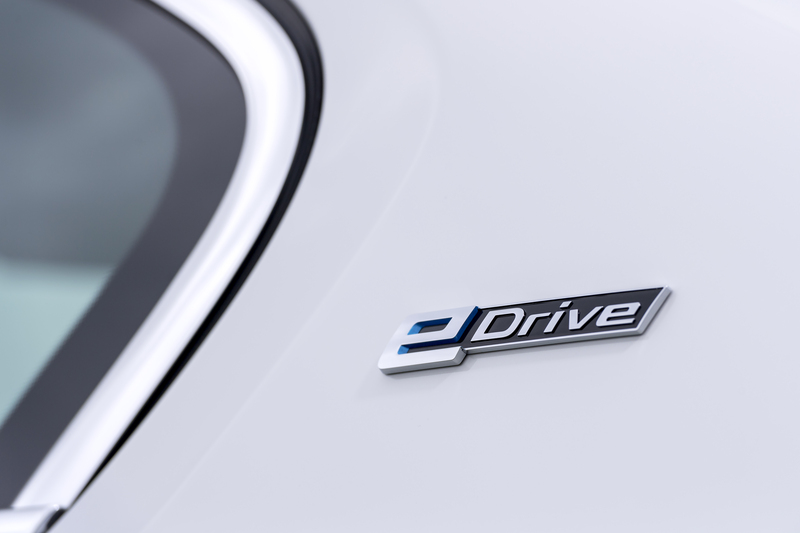 The BMW Group is expecting strong double-digit growth in electrified vehicle sales in 2018. By the end of 2019, the company aims to have at least half a million electrified BMW Group vehicles on the road. BMW’s high-performance BMW M vehicles achieved record sales in 2017. Deliveries of BMW M and BMW M Performance vehicles increased by 19.1% compared to the previous year, with overall sales topping 80,000 for the first time ever. In its first full year on the market, the BMW M2 (fuel consumption combined: 8.5-7.9 l/100 km; CO2 emissions combined: 199-185 g/km. Fuel consumption and CO2 figures were calculated as per the EU test cycle and may vary depending on the tyre format.) was the strongest growth driver, with total sales of 12,293. The BMW M Performance variants of the new BMW 5 Series also contributed strongly to the increase in sales. With the launch of the new BMW M5 in in the spring, BMW M’s powerful success story looks set to continue in 2018. The MINI brand overall achieved a new sales record in 2017 with 371,881 vehicles delivered to customers around the world, an increase of 3.2% on the previous year. The new MINI Countryman saw a jump in sales of 30.0% (84,441). Another significant contributor to the brand’s sales success was the MINI Convertible, which grew sales 12.0% (33,317). “We are delighted that with our new brand strategy, we have achieved a new sales record. The focus of the MINI portfolio on fewer but more characterful models was completed with the launch of the new MINI Countryman last year,” stated Peter Schwarzenbauer, Member of the BMW AG Board of Management responsible for MINI, Rolls-Royce, BMW Motorrad. “The Countryman contributed significantly to MINI’s growth in 2017 and the first MINI plug-in hybrid also achieved excellent results. I am sure that this success will continue into 2018, with the launch from March of the new MINI 3 and 5 door, as well as the MINI Convertible, supporting the brand’s further growth,” he continued. The Goodwood-based luxury house delivered 3,362 units (-16.2%) to customers in almost 50 countries during 2017. This result was achieved despite the absence of Phantom from the market due to model-changeover and against a backdrop of unsettled market conditions in the important Middle East market. New Phantom was unveiled in July to unprecedented worldwide acclaim by media and prospective customers alike and has a strong order book. First customer Phantoms are due to be delivered in January 2018. BMW Motorrad achieved a seventh consecutive record year, with more motorcycles and maxi-scooters delivered to customers than ever before. Sales across the range increased by 13.2% with a total of 164,153 units delivered worldwide – the ever- popular GS models were particularly strong growth drivers. A total of 14 new and updated models in the range, including additions to the R nineT family and the attractively priced G 310 R and G 310 GS also helped drive BMW Motorrad to its most successful sales year ever. The BMW Group maintains its focus on balanced sales around the world. Asia was the company’s main growth driver in 2017 with China the most significant contributor. BMW and MINI sales in Mainland China, the company’s largest market, increased by 15.1% (594,388) in 2017. This increase was achieved despite the model changeover of the BMW 5 Series. Europe maintained sales of BMW and MINI vehicles at the same extremely high level as the previous year, with a total of 1,100,975 (+0.9%) vehicles delivered to customers in the region, despite significant headwinds in the important UK market. The Americas recorded a slight decrease in deliveries across the whole year (450,020/-2.0%) with the limited availability of BMW X models impacting on sales.